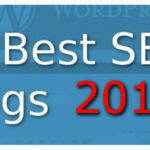 My Top 5 SEO Expert Blogs by the best experts available in the Search Engine Marketing Industry. So the Olympics are under way as we speak, on my TV now, high competition in the games. How much competition do you think there is to get on the first page of Google, for your keywords? There are many other businesses that offer similar services as I do, and they all want the first page of Google too right? So how do you do it? Well the truth is anyone can do it, if they have the time and patience and willingness to learn and practice. Google is always changing the way it ranks its results and we if we want to get on the first page, we need to stay up-to-date with what is going on in the industry. So I recommend reading and following these experts. Fantastic Blog about all things SEO. I am a big fan of the Whiteboard Friday posts. Rand Fishkin is a huge advocate of information for the SEO movement. Aaron Wall has written a great book which is available for download on his site. Aaron also has a great community which has grown over the years and his blog post on SEO are second to none. This is top quality info on the world of SEO. Marketing.com.au, by Chris Burgess, are a top source of Online Marketing info. Regular posts with very high quality detailed advice. This blog holds nothing back and give full details on how to do high quality. David Iwanow is a leading industry expert and I always check to see what David is saying on a given topic. It is a changing industry and staying up with best practices is one reason why I follow David. The other is because David is such a down to earth guy who will always help you if he can. 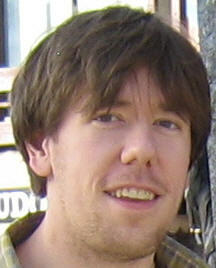 Dan is a leading Australian SEO who has over 10 years experience in SEO. The information on the blog is the most up-to-date SEO news and changes in the industry. 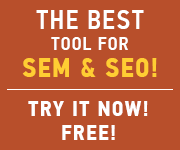 Want to do your own SEO? Moz because is an excellent way to get a control of your SEO efforts, to organize them and manage your campaigns. A great list of SEO experts Peter, thanks. I’ll be bookmarking these sites for sure. This is a really useful resource so thanks for sharing. I am looking forward to the guest post. No problem, I hope you find this information useful. G l P! I a f o R a n I h l m b l f.
Thanks for including @marketingcomau in your list Peter, we’re still very new but we have lots of interesting things in the pipeline. Hey there Marketing.com.au, no problems at all. I really like the content you put on your blog, posts are second to none. Thanks heaps. Thanks for this great list. As an SEO writer, this is invaluable. Thanks for sharing. SEO is something I have been thinking about a lot lately but not really sure where to begin. Now I know where to start! Yes it can be daunting stepping into the SEO world. You will find that most of us are very wiling to share all of the crazy secrets that we have learned about Google over the years. It has been a roller coaster with Google making changes to its searching functionality on a regular basis. If you have any questions in particular, just let me know I will try to do a blog post about them for you.